Buy Reviews from SponsoredReviews.com - Blog Advertising Made Easy! I'd head the controversy about this years ago. But here they still are, more gussified and glorified with fancy-pants graphics and everything! The deal is that if you have a good blog that you've built traffic to, you can review some advertisers product and they will pay you for it if they think it's good enough. You bid, they agree, you blog, they pay - or not. Get good at it and you can charge higher rates. The interesting thing is that they look your blog up on Alexa, Technorati, and a few others - so you get an instant feedback on how your blog stacks up. I was surprised to find a blog I had pretty much sidelined ranked better than the blogs I was regularly posting to (like this one). 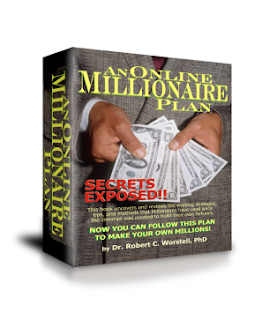 Learn the top business ideas that Internet Millionaires have used to make their own fortunes. Learn how to make more money online with less work.